Allie learns that Marie is getting surveillance photographs smuggled in that show the attack on her son, and Ruby panics. As Sonia tries to spin her 'Angel of Wentworth' PR into an innocence campaign, her past crimes threaten to derail her - and it could be fatal. After being shot Franky seeks Bridget's help, but the police net is tightening. Meanwhile, Kaz faces her toughest challenge when she warns Hutch to stop fight club. Sonia returns from near death, hell bent on revenge against her poisoner. Boomer sets the cat among the pigeons when she implicates Liz. Franky is on the run. Vera is determined to prove that Jake helped Ferguson break out. New arrival Rita Connors has her sights set on reconciliation with someone from her past. The women become frustrated with the Top Dog's lack of action against Lucy, and Vera receives a birthday present she will never forget. 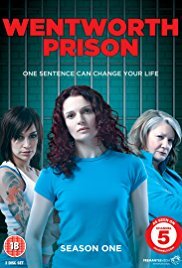 While Liz languishes back in Wentworth waiting for Don to come to her rescue, Sonia is a free woman, and Franky plans her escape. The women and staff of Wentworth are reeling in the aftermath of Bea Smith's murder. Bea is on a warpath, but to what end.